Sterling silver fern earline style earrings. Pretty sterling silver fern earline style earrings. 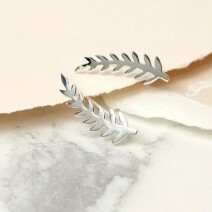 The fern leaf follows the shape of the ear, gently squeeze the silver wire to grip at the back.